On Arcadia University Week: Are some famous paintings the work of multiple hands? Jill Pederson, associate professor of art history, examines whether some of da Vinci’s work was a collaborative effort. 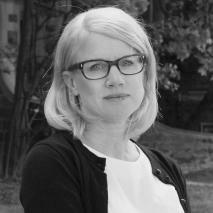 Jill Pederson is Associate Professor of Art History at Arcadia University, specializing in European art with an emphasis on Italian painting, sculpture, and graphic work from the fourteenth through seventeenth centuries. Her research focuses on the intersection of visual, literary, and intellectual culture in northern Italy. Dr. Pederson is completing a book manuscript on Leonardo da Vinci and his involvement in the Academia Leonardi Vinci. The book deepens our understanding of the Renaissance master by providing contextualization for his first Milanese period (c.1482-1499). Although Leonardo has long been cast as an artistic anomaly, the study resituates him within a specific scholarly network that helped to shape his own visual idiom. By suggesting that Leonardo derived inspiration from a wider group of artists, poets, and scientists, the book challenges prevailing ideas about Leonardo’s universal genius and contributes to a more complex understanding of an artist who influenced conceptions of creative practice for generations to come. On November 15, 2017, a painting featuring a frontal representation of Christ in benediction holding a rock crystal orb, known as the Salvator Mundi, sold at auction for $450.3 million. While this record sum shocked the art world, it was largely justified by the painting’s attribution to Leonardo da Vinci. Yet, how can we be certain that the painting actually comes from the Renaissance master’s hand? Art historians have long known of a Salvator Mundi painting by Leonardo based largely on a 1650 etching thought to be a copy of his lost original. However, the subject was common in early modern Italy, and this is not the first version attributed to Leonardo. Without firm documentation, art historians must rely on visual evidence to determine an author of a painting. Visually, questions arise about Leonardo’s sole execution of the Salvator Mundi. Although technical interventions have done much to restore the poor condition of the work, some areas of weakness or inconsistency remain. For instance, the drapery folds in Christ’s robe appear largely undifferentiated on his left side. His ringlets fall in schematic curls, rather than more fluid locks. Most obviously, the left hand and orb appear awkward and partially truncated. These discrepancies may have to do with the hybrid nature of the picture. In fact, Leonardo’s works in his mid-to late career were frequently finished by his pupils or assistants. Lombard artists often worked in teams, and Leonardo’s workshop was no exception, with artists like Giovanni Antonio Boltraffio often completing their teacher’s work. In attributing the Salvator Mundi, we must consider that paintings in Leonardo’s circle often show evidence of more than one hand. This circumstance in no way undermines the historical value of the work, but rather indicates that we still have much to learn about the collaborative working methods of Italian Renaissance painters. Interesting analysis of the Savadore Mundi painting. The question remains as to whether it was actually painted by Leonardo Da Vinci.